Thank you Assemblywoman Aileen Gunther who introduced K957, "Urging the New York State Congressional delegation to support HR 3679, known as The National Nurse Act of 2011" on June 19, 2012. The bill amassed 47 sponsors before it was sent to the floor of the Assembly and adopted unanimously by all voting members. New York, NY-On June 19, 2012, with leadership provided by Assemblywoman Aileen Gunther (AD 98), the NY Assembly overwhelmingly passed a resolution memorializing the NY Congressional delegation to support HR 3679, The National Nurse Act of 2011. HR 3679, introduced last year by Congresswoman Eddie Bernice Johnson (D-TX) and co-led by Congressman Peter King (R-NY), would designate the existing position of the Chief Nurse Officer of the US Public Health Service to additionally be recognized as the National Nurse for Public Health to address national priorities of health promotion and disease prevention. Teri Mills MS, RN, CNE who serves as President of the National Nursing Network Organization introduced the concept for a National Nurse in an op/ed published in the New York Times in 2005. "There is overwhelming evidence supporting the critical need to boost health promotion and prevention efforts as well as answer the public demand for increased leadership in nursing. HR 3679 will bring forth the significant and trusted voice of the nurse to the ongoing conversation about health and health care in America," said Mills. "We are delighted to have the support of the New York Assembly for this effort.” More importantly, the National Nurse for Public Health would accurately portray nursing leadership, enhance the image of nursing, and improve public awareness of the many roles nurses fulfill in protecting public health. A January 2010 Gallup Poll conducted by the Robert Wood Johnson Foundation revealed that 86 percent of those surveyed stated they would like to see nurses have more influence in promoting wellness and expanding preventive care. This legislation demonstrates how a nurse leader can contribute to health policy and planning decisions to meet the recommendations outlined in the recently published National Prevention Strategy. 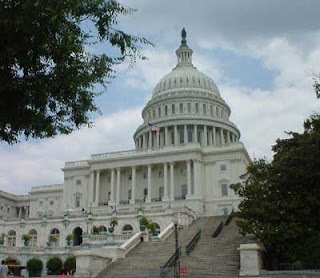 LEGISLATIVE RESOLUTION urging the New York State Congressional delegation to support HR 3679, The National Nurse Act of 2011, or similar legislation, designating the Chief Nurse Officer of the US Public Health Service as the National Nurse for Public Health. RESOLVED, That copies of this Resolution, suitably engrossed, be transmitted to each member of the Congress of the United States from the State of New York. Supporters of HR 3679, the National Nurse Act of 2011 plan to travel to Washington DC in August to educate our lawmakers about this important legislation for nursing and public health. With your continued support we can make this happen. Many individuals have sent in $20, and with this contribution, the team is able to personally deliver a packet in this constituent’s name directly to their elected U.S. Representative. The Board of Directors and Advocacy Team of the NNNO value grassroots activism and participation. Small contributions from many are more important to us than money raised through corporations. Each one of you is encouraged to help, no donation is too small and in a grassroots campaign, every dollar makes a difference. Just $20.00 unites you to our efforts to provide a full-time, visible, effective National Nurse for Public Health to guide nurses everywhere in health promotion, disease prevention and enhanced nurse recruitment. This very small investment on your part assures that your own U.S. Representative will receive a packet with a certificate in your name acknowledging that you are an active supporter of HR 3679. Please make any size donation via PayPal or email the NNNO Board for information on where to send a check. It is important to acknowledge that while the NNNO is a non-profit organization, it cannot be tax exempt because we do lobby, and therefore your contributions are not tax deductible. 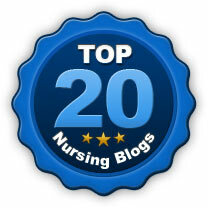 One of the first Internet search engines, http://excite.com, recently recognized http://nationalnurse.blogspot.com as Number Four on the list of Top 20 Nursing Blogs on the Internet. Specialists who included students of nursing and nurses in the professional field were invited to participate in the review process. Criterion for selection included that the blog is updated on a regular basis; this is key to good blogging. Second, it was assessed that the content of the blog had valuable facts and figures and not just stories. 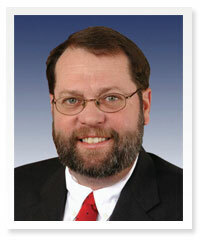 Congressman LaTourette is the Co-Chair of the 112th Congressional House Nursing Caucus and many of these US Representatives also participate in this important group. The Caucus is non-partisan and provides a forum and opportunity for members of Congress to discuss and act upon matters that are of particular concern to the nursing community. HR 3679 currently has 38 co-sponsors but more are needed to help the bill move forward. If you are interested in contacting your US Representative, please email NNNO Board of Directors for who to contact and important points to include in a phone call or a letter.